Do you think I’m awesome? depends… do you play Evolve? EDIT: I occasionally ryhme and wear a sombrero as well. Then yes. 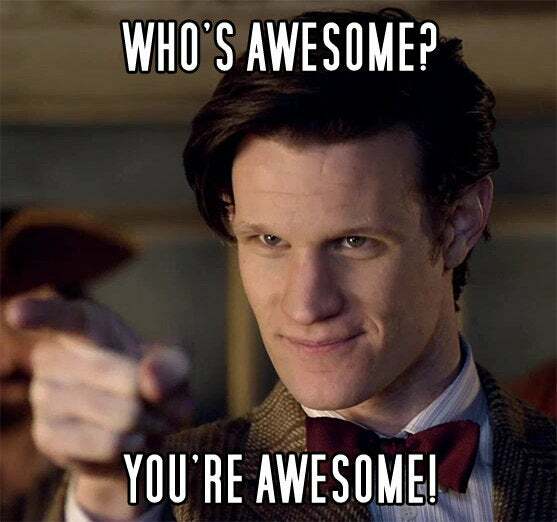 Not only are you awesome but the sheer epicosity present in your badassery matrix is causing temporal fluctuations in the space-time-gaming continuum. Edit: I also occasionally rhyme and wear a sombrero while playing the pc. Edit Edit: You have no idea how hard it is to wear a sombrero while playing the pc. I raise you a 200…000000000000. I’ll do it for @mortalbound. Cheer up dude, the image below should help you see things in a more amusing light and regardless, how can you be depressed with friends like us backing you all the way! I raise you a 200,000,000,000,000,000,000,000. I raise you 10 googol.